Like most cities in Asia, the food scene in Hong Kong is world renowned. From street food so good that the Michelin Guide made a category just for it to high-end bars and restaurants, food in Hong Kong suits every taste and budget. Given the Western and Eastern influences on Hong Kong, you can find both traditional Asian foods as well as spendy Western options. In the Soho area, we found lots of restaurants with menu items and decor that felt just like a bar or eatery in Seattle. Craving a fresh-squeezed juice, Chemex-brewed coffee, açai bowl, or all-organic raw vegan cuisine? All of that was readily available in Hong Kong but at very spendy prices. Below is a Hong Kong food guide, divided between cheap street food and more expensive restaurants in Hong Kong. Street food in Hong Kong is legendary. It is the reason that the prestigious Michelin Guide Hong Kong and Macau added a street food category. The street food stalls are known locally as Dai Pai Dongs, and they offer one of the best food experiences in the city. Food stalls serve everything from dim sum, noodles, stir fry, and even seafood. In addition to great flavors, Dai Pai Dongs offer a glimpse into daily life in Hong Kong. Street food stalls are scattered throughout Hong Kong, mainly in Mong Kok, Causeway Bay, Yuen Long, Tsuen Wan, and Kum Tong While not much English is spoken or understood, food stall menus have accompanying photos that you can point to make an order. A traditional staple of Cantonese cuisine, roast goose can usually be found hanging in the window of a butcher shop alongside Peking duck and roast chickens. Authentic roast goose is often served whole or cut into small pieces with the skin attached. Enjoy roast goose with plum sauce. After seeing "phoenix" on many menus, we finally had to ask Google what they were. It turns out the word "phoenix" is synonymous with chicken in Hong Kong. The idea of eating chicken feet still weirds me out and the dish was not sampled on this trip, but they are reportedly fried and steamed to become so soft that the bones can easily be chewed. This popular golden baked dough consisting of eggs, sugar, and flour, these puffy waffles are sweet and crunchy on the outside with a soft interior. Har gow (steaming shrimp dumplings): These juicy shrimp dumplings are wrapped in a thin translucent wrapper. Siu Mai (shu mai): Traditionally filled with chopped pork, siu mai may also include a filling of pork mixed with shrimp. Siu mai may also be filled with chopped scallion, ginger, black mushroom, and water chestnuts. This fragrant, seasoned filling is wrapped in a thin yellow wrapper and then topped with crab roe or diced carrot. Char siu bao: Growing up in Hawaii, I ate copious amounts of manapua, the Hawaiian version of the Cantonese barbecue pork bun known as char siu bao. Char siu itself is tender, sweet pork filling, while bao refers to the surrounding bun. In Hong Kong, char siu bao is typically found on dim sum menus. Despite its name, Hong Kong pineapple bread does not contain any trace of actual pineapple. Instead, the light sweet bread that can be found in nearly every bakery in Hong Kong is named because its shape resembles a pineapple. Flavor-wise, it's a very subtly sweet flavor since its main ingredients are sugar, eggs, flour and lard. Take the train over to Kowloon and hop off at the Price Edward MTR station. 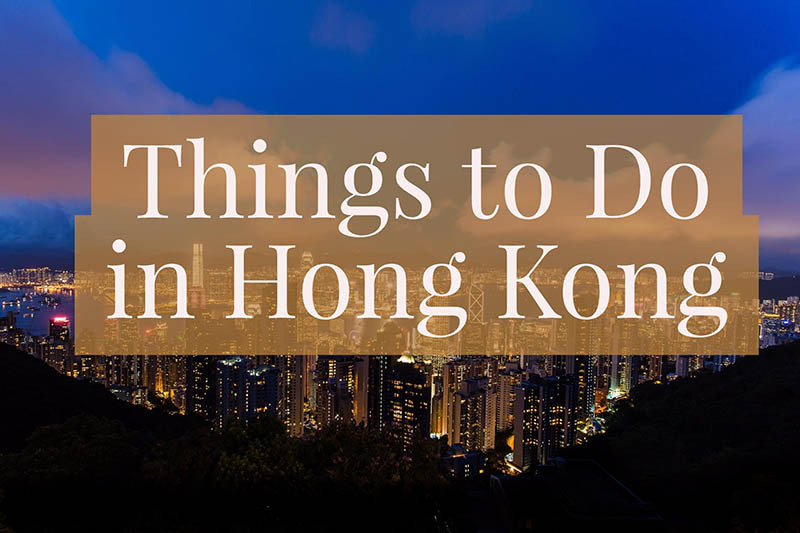 From here, stroll over to Mongkok where you'll find a handful of colorful markets that can be explored by foot. If you're seeking a truly exotic market experience, you won't want to miss Goldfish market. True to its name, market vendors sell a variety of interesting animals including fish, lizards, Rhino beetles, turtles, and salamanders. Stop by during the daytime for the best photo opportunities. More practical than the Ladies and Goldfish markets and a short walk away from both is the Fa Yuen Street Market. Items sold here are more practical in nature, but there are also some quirky items for sale. This is also a market best visited during the day. Located at the foot of the Bird Market, the Flower Market is also true to its name. Here you can find many varieties of plants, flowers, and bonsai. Orchid arrangements are particularly popular. A daytime visit is recommended to the market in action. It is also worth visiting the week before Chinese New Year and during the holiday itself to see the most impressive floral arrangements. One of the busiest flea markets in the area, Temple Street Night Market offers both local cuisine and a market where you can buy clothing, souvenirs, antiques, and jewelry. It's also known as Men's Street since men's fashion is particularly popular here. The market begins at 2pm every day and is the most lively around dusk as hundreds of stalls light up the area. Local Hong Kong street food is also served here, mainly seafood and hotpot. If you're like me and not a big fan of alcoholic beverages, rest assured that many Hong Kong nightlife spots offer shisha (hookah) with ample varieties of flavored tobacco. Shisha is a nice nightlife activity that can be cocktail free if you choose. Or you can have your shisha water pipe filled with alcohol instead of water if you're going for the ultimate buzz. Be warned that like the cocktails, shisha is expensive in Hong Kong. Situated on the 25th floor of the Prince Building, SEVVA offers stunning 360-degree views of the city and harbor. While cocktails are on the spendy side, it's worth the indulgence to enjoy the breathtaking cityscape views from the outdoor wooden terrace. A food menu with intimate indoor seating is also available. 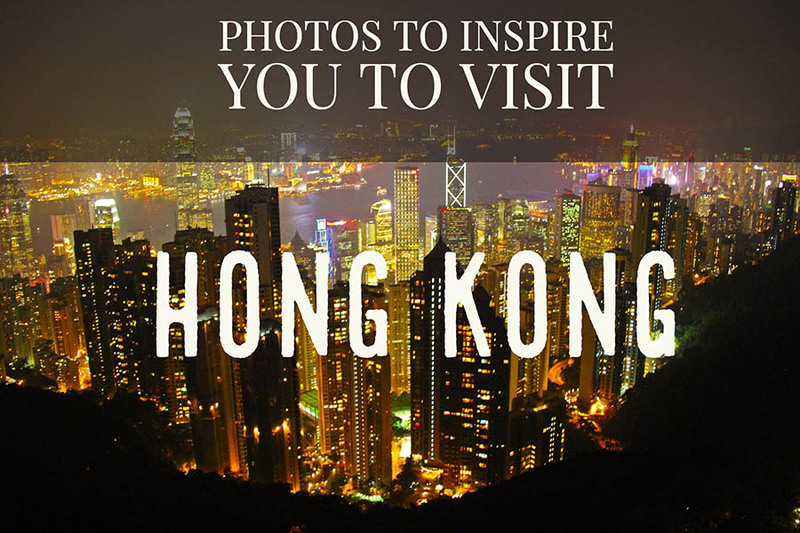 Tip: visit at night and watch the Hong Kong city light show from this view! As coffee-obsessed Seattleites, it was only a matter of time before we craved a quality cup of joe. Thankfully, The Coffee Academics came to the rescue! A coffee chain specializing in the roasting of specialty coffees, The Coffee Academics has a bunch of locations throughout Asia. Their menu has a smattering of delicious coffees sourced from around the world. With urban chic interior decor and free Wi-Fi, The Coffee Academics is a great place to lounge and catch up on work. Unsurprisingly, the coffee chain is popular among digital nomads and Western travelers seeking their high-quality caffeine fixes and free Wi-Fi. When we needed a break from Hong Kongese fare, Classified offered familiar European cuisine in a casual cafe setting. A menu sampling included charcuterie platters, antipasti platters, pasta and salads, and even all-day breakfast. The restaurant is a chain with locations throughout the city. There are a plethora of noodle shops in Hong Kong, but among the most legendary is Kau Kee. Nestled on Gough Street in Central Hong Kong, the hole in the wall eatery has over 90 years of history. It has also been on the Michelin recommended "Bib Gourmand" list for years. The restaurant is easily distinguished by a long line of people waiting to get a bowl of the famous beef brisket noodle soup. We ordered the recommended brisket soup along with a bowl of beef tendon curry soup with e-fu noodles. Cheap and delicious! Taiwanese restaurant Din Tai Fung has become a popular restaurant chain with locations worldwide. Stop by to indulge in Din Tai Fung's famous soup dumplings. Instagram foodies may be familiar with the cute "vomiting buns" that have become a viral online phenomenon. Contrary to what the name may suggest, these buns are a cute visual spectacle. They are custard-filled buns that "vomit" their filling when squeezed. Unfortunately, we were unable to make it to Yum Cha during our stay. We'll definitely make a stop on our next trip! 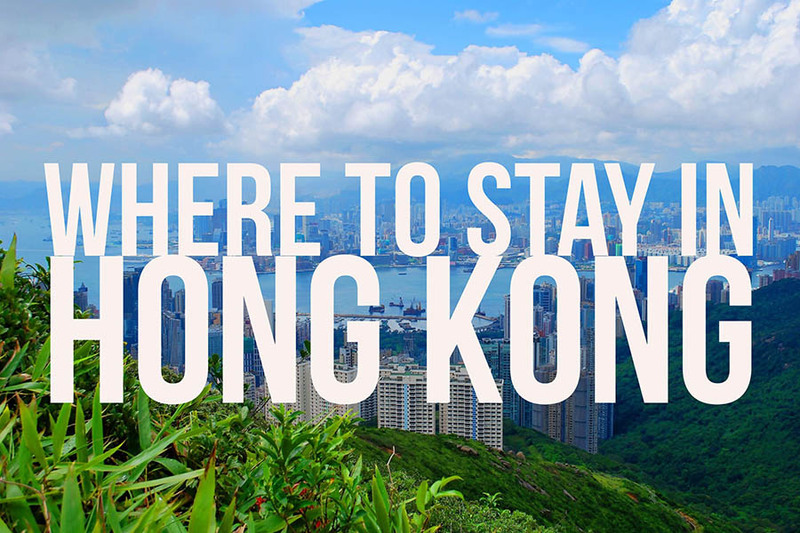 What are some of your favorite dishes and food hotspots in Hong Kong? Let us know in the comments below!